« Bundling Student Loans Like Mortgages. What could go wrong? It’s important to know that James O’Keefe is a wannabe thespian. Project Veritas, is a bad theater group pretending to be a non-profit muckraking journalist group. He’s a bad actor in both meanings of the phrase. Conservative spend millions on groups like O’Keefe’s to damage people, groups and institutions that they see thwarting their agenda. It also gives the volunteers and paid operatives an opportunity to “stick it to the libs.” One right wing conservative group, called Turning Point USA, is using the O’Keefe model to attack teachers and universities. The good news is that the MSM is getting better at detecting O’Keefe’s tricks and turning the tables on them. However, not all groups or institutions targeted have the ability to thwart the scammers before they do damage. That is why we have to educate ourselves in order to help the groups under attack to prepare for them, and, if they miss the opportunity to thwart the attacks, how to seek redress afterwards. O’Keefe’s incompetence allows us to see the method to his mendacity. This story from Jane Mayer in the New Yorker describes his attempt to sting Open Society Foundations, a George Soros pro-democracy group. Listen as he unwittingly leaves a voicemail describing his entire plan to the person he was targeting at the Open Society Foundation. One of the important things I learned at James O’Keefe University (AKA a seminar in an airport hotel), is that while their most damning “evidence” is usually manufactured, sometimes they do catch real people, breaking laws, violating the rights of others or just not living up to the stated values of the group. Groups that are under attack don’t always respond rationally in a crisis. One mistake is firing or demanding the resignation of the people accused before the full story can come out. When this happens the right wing attackers win. In some cases it is absolutely correct to fire someone or to demand a resignation. But the attacking groups count on an instant response, usually from someone caught on camera, off guard and while in public. 2) O’Keefe teaches groups to hold back some supporting evidence to use after the story first breaks in the MSM. O’Keefe is hoping the media (or an organization) will defend the accused before seeing the entire story. If they do, he then rolls out some new information that supports the first revelation. 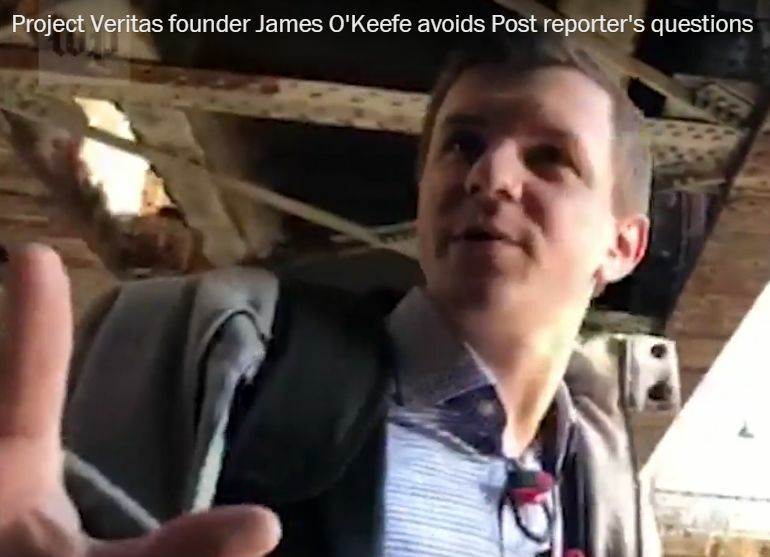 Although O’Keefe’s tricks are now known by national media, a group using O’Keefe methods can still push a story forward in regional media especially if they aren’t aware of the group’s methods and intent. In addition, while O’Keefe and other groups still crave the attention of the MSM, they now go straight to YouTube with their narrative, which is promoted on social media to their base. Ask that all evidence to be seen, sourced and vetted, but expect it won’t happen in a timely fashion. Prepare your own social media response until the media can weigh in. The mainstream media will go to the allies of the group under attack looking for a comment after an allegation. If you are under attack, brief your allies ASAP. They especially like to go to government officials because the media quote them. Remind your allies that other media will call. They need to be prepared. I’ve found that not all allies are equally sophisticated when it comes to talking to the media. The attackers often pitch the story to RW media with a list of people and organizations to call. They are looking for the weakest link. Allies: Get the facts before you react. I don’t like burning up the keyboard talking about O’Keefe, Turning Point and their mendacious moles, but it’s very possible you or a friend in a progressive organization will be under attack from them and will need to respond. The right counts on people being unaware of their tricks and the MSM to act a certain way. But as the Washington Post has shown, it is possible to turn the tables on them and flip the narrative. Coming next: You’ve been attacked by O’Keefe’s moles, now what do you do?